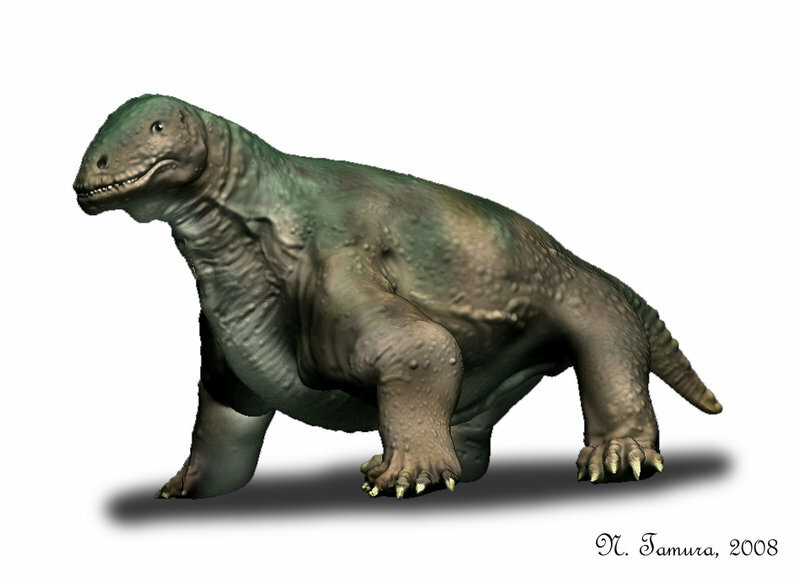 Moschops is an extinct therapsid which lived approximately 255 million years ago during the Later Permian Period. Its fossils were first discovered in 1911 in South Africa by Robert Broom. 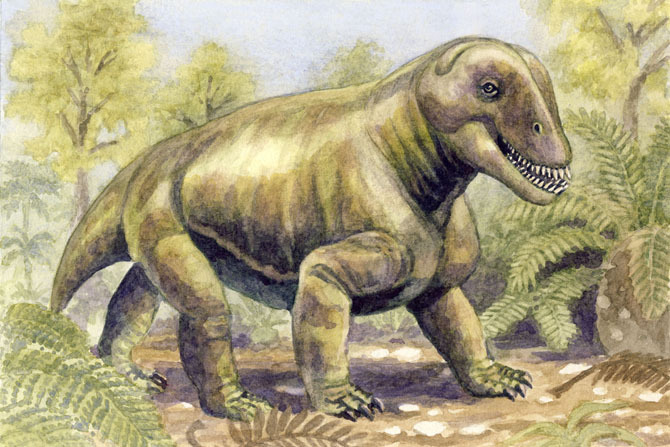 He would go on to name it Moschops that same year. A name which means “calf face” in Greek. 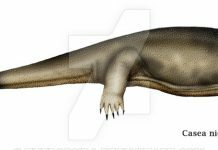 If you look closely at Moschops pictures, then you might not know what to make of this mammal-like reptile. 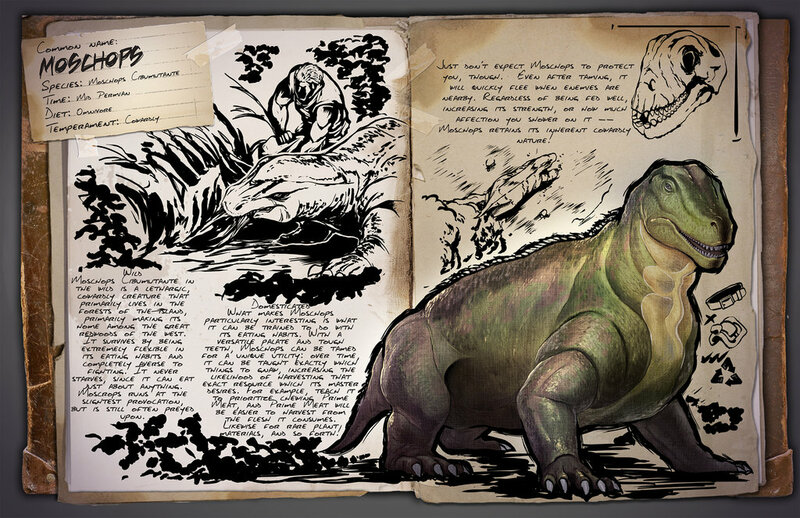 It had a barrel-shaped body, short back legs, long front legs and a short tail. And that isn’t its worst features. It also had a thick skull that looked very cow-like, except for its teeth. 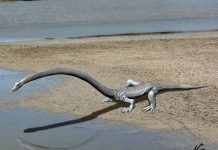 It was about 16 feet long – about the length of an American alligator and was about 1,000 pounds – or about as heavy as a grand piano. 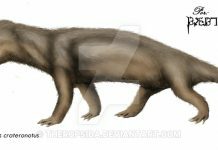 It was an odd look creature that looked like someone pasted together a whole lot of different animals and just called it Moschops. 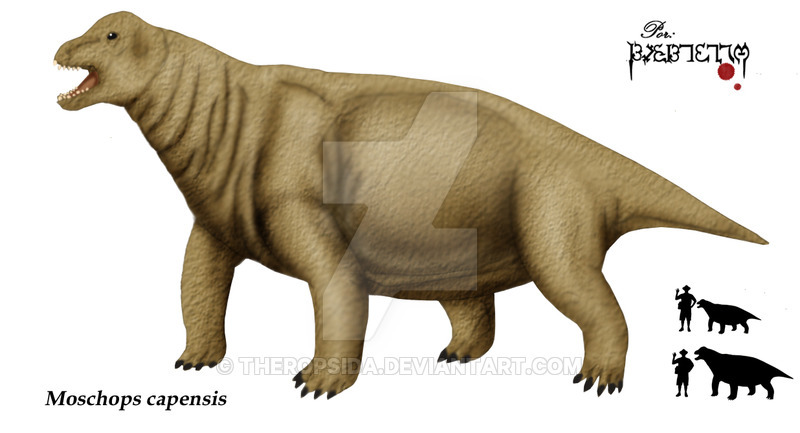 One of the most interesting facts about Moschops is how it evolved to occupy certain evolutionary niches. 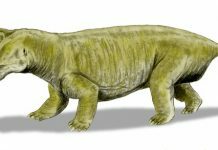 Although it wasn’t a dinosaur but was a reptile, Moschops would fill an important evolutionary niche before the arrival of the dinosaurs. Making it the equivalent of evolution’s bookmark. Which means that it lived in much of the same way as dinosaurs that came along later. It was built low to the ground and grazed on plants like modern cows do today. 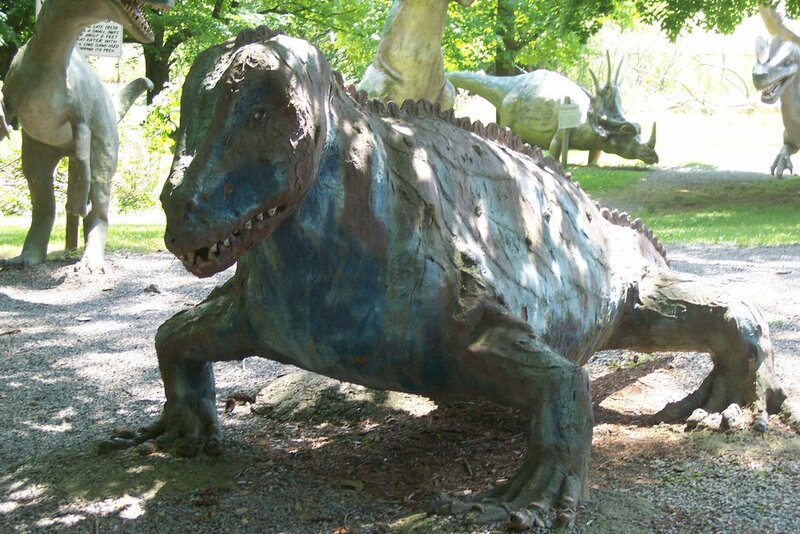 Dinosaurs which behaved the same way but evolved much later included Iguanodon and hadrosaurs. Another interesting Moschops fact is that there was an animated television show about this dinosaur that aired during the early 1980s. Unfortunately, this TV show (as often is the case) was riddled with inaccuracies. 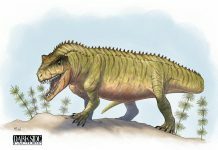 For instance, the show portrayed it as a dinosaur (instead of a reptile) and had it related to a dinosaur – a Diplodocus. All of which was pure fantasy. Obviously, it was a show designed for pure entertainment and not for presenting scientific facts.